This is noise/electronica. But not just that. It is industrial strength noise. Loud, shrill and pointed noise. Noise that could live comfortably in any of the major cities in the midwest. And be damn proud of itself. We Also Let Blood is the brainchild of one Harrison Phillis who apparently did everything on this release. I’ll be the first to admit I can only take so much noise/electronica but must confess that Phillis does what he does quite well. “Fog Shards”-the opener on side two, is particularly interesting, as there is a subtle touch of melody weaving through the wall of screeching that comprises the track. Even here, however, Phillis never lets you get too comfortable and maintains the bombardment well above any sense of melancholy and soulful malingering. The tape concludes with “Every Banality” where Phillis throws everything against the wall and it all sticks. Don’t get me wrong, this is still noise, but there is a lot going on until it settles firmly into a groove of….more noise. In all there are five tracks here. The tape was released in 2016 and beyond that, as all too often is the case, we have no other information. How can you not be one of a kind with monotone muted vocals and mostly guitar only accompaniment while still maintaining a rock/pop/indie format. Sort of. Appalachian Yard Art is Colin, who wrote and recorded this pretty much by himself in his basement. Some artwork and sparse drums were added by Taylor. That pretty much sums up the credits but how about the songs? “Skull Song” opens side One and slams you with “I am moving too fast and in and out of the past but nobody living here can make me turn back.” So now we have an idea of what we’re dealing with. It gets more foreboding (and slightly more complex) as you proceed through “Wood Clamp”, “Dogwhistle” and the track that ends side one, “Alchemy”. Fussy is not a happy camper, malcontent with a recorder and guitar. Side Two’s “The Rise And Fall Of Mulch” is short and to thew point. Everything is mulch. “Milk Makes The Mammal” follows and doesn’t lift the spirits of the ongoings, more actually setting the stage for the closer, “Reading The Obits On A Sunbaked Hillside”. No, AYA is not bright and optimistic but nevertheless has something to say and says it in a unique manner just catchy enough to hold your attention. 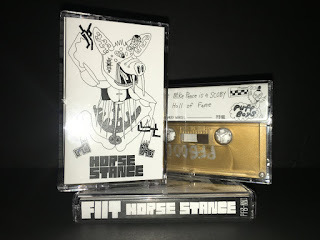 While it may sound like I’m not partial to this tape, in fact I am. This is good stuff well worth a listen. 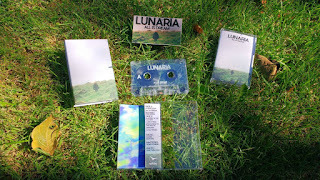 The tape comes in standard jewel case with a lyric sheet (nice) and download card (nice too). When I was a little kid, my favorite place in the world was the aquarium. I’d get my mom to take me every year for my birthday for a long time. The Georgia Aquarium has a big tunnel under an enormous tank so you can walk through and look at fish as if you’re on the bottom of the ocean looking up. When I was a kid, that spot always made me so happy. That’s a pretty random and specific memory to bring up, but the weird feeling of joy and thinking about how beautiful everything was in the moment is the same way I felt the first time I listened to this album. This is beautiful. Everything about this album is beautiful from the music to the gorgeous packaging of the cassette itself. This is how ambient music should be done. I’ve had this cassette on my shelf for a very long time but I can never commit to writing about it. There’s just something about it where I’ve listened to it so many times that I feel like there’s something special that I need to make sure I probably write about. Lunaria is the name that Daniel Guillen works under. 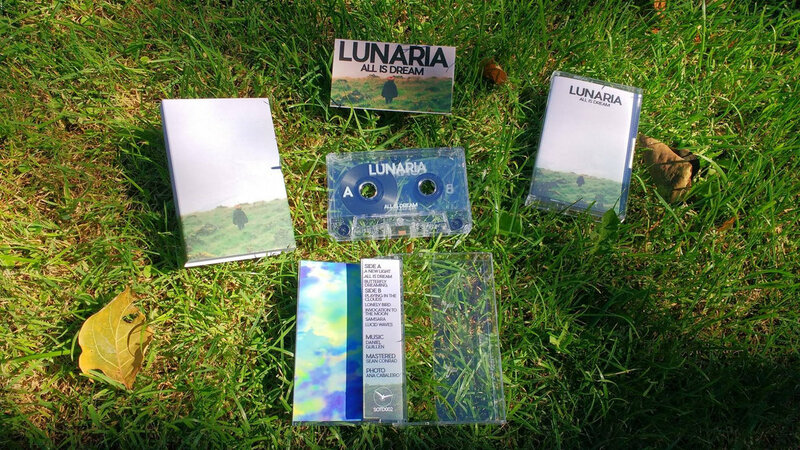 I couldn’t find out if he’s ever put anything out under any different names, but this is his first release as Lunaria. He currently resides in Spain. His first release is a beautiful landscape of sound that washes over you and makes everything okay. Listen to this album. I couldn’t find much info on this band, but I’m pretty sure it’s just one guy. This whole album was recorded live. It’s some loud repetitive techno. This album has some good and some bad. While listening through for the first time, I was thinking a lot that this guy would be great at composing the scores for action movies. Most of these songs just kind of give off that vibe that they should be playing in the background while Tom Cruise is fighting three evil henchmen in the middle of a strobe light filled club. My biggest problem with this album is that some of the songs such as “Temporary Truce” are over seven minutes long. I have no problem with a song being seven minutes, but when it’s basically the same 30 seconds looped over and over again with the tiniest difference, it really gets old. When I review this kind of music, I always say the same thing and it’s that restraint is incredibly important. You can make a great song that’s a minute and a half long and keep the listeners wanting more, or you can make a seven minute song that ends with them being frustrated that it never went anywhere else. I think that FIIT could be capable of some very cool things, but less is more. 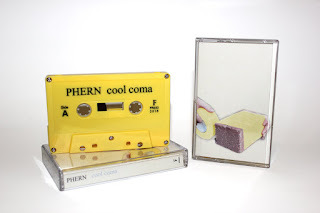 Cool Coma is the debut album by Phern, a five piece band out of Montreal, Canada. 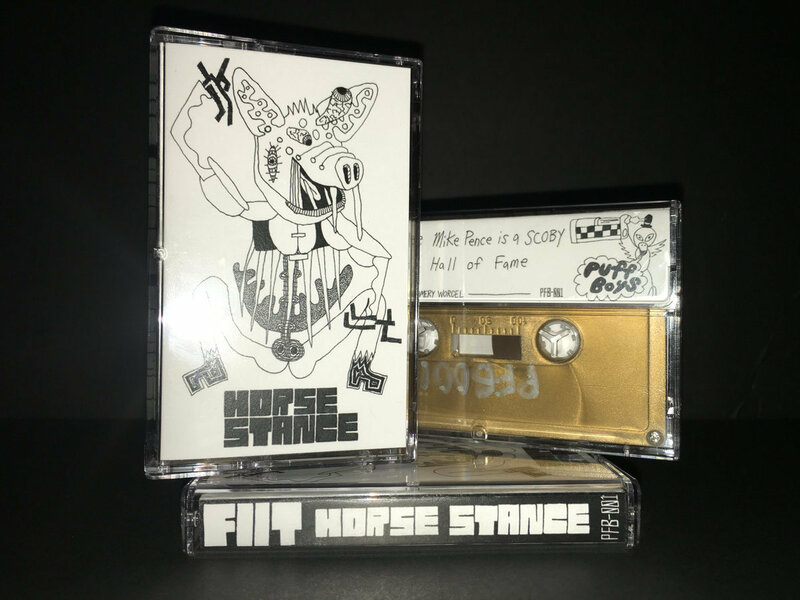 This band is really great and really strange. I listened to the entire cassette while I was walking to get dinner a few nights ago. After the first listen, I wasn’t entirely sure what to think. Most of their songs have ghost like vocals with guitar that isn’t exactly twanging, but it’s close. Their songs get going the second they start, and they don’t stop for anything until it’s done. I can’t quite put my finger on a way to describe their sound because it’s really something I haven’t heard before. They use typical formulas for the composition of their songs, but the instrumentation makes it sound as if they might be using thousands of dollars worth of amps and pedals, or it could be the oldest, cheapest, worst gear they could find. I truly can’t tell. What I can tell you is that this band has a very unique quirk in their sound that makes me keep coming back to try to figure out what it is. Whatever it is, I’m on board. I was starting to wonder if this would just end up being a cassette of the movie’s original soundtrack, but it turns out that it’s covers of the soundtrack by this labels artists. It’s such an interesting idea, but my biggest problem is that they seemingly let the artists pick any song that they want to cover. While that might sound like a good idea, what you end up with is a bunch of covers of the same songs. Even with that said, it’s actually really interesting to hear the insane differences in what two different bands will turn a song into. I’ve always been a big fan of Free Cake for Every Creature so I’ve got to say that their cover of “Love Will Tear Us Apart” was my favorite. 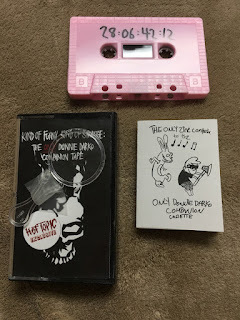 This love letter to Donnie Darko is one of the strangest cassettes that I’ve gotten while writing for Cassette Gods, and I dig it. If you are old enough to remember The Twilight Zone or somehow latched unto the late-night reruns, then you know about places that are not quite the destination. Other places, places that are not places at all. Or in this case music that’s not music at all. Is all sound music? Maybe to someone…but here we have balloon and voice. Nothing more. Yerd doesn’t share much either. Side one is Yerd Jacket, side two is Yerd Jacket pt. 2. It was recorded at Wee Space in NYC and it is for his (her?) mom. That’s it. That and the sounds.